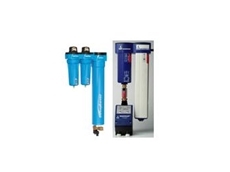 Compressed air management systems have long played an important role in compressed air systems. As Erwin Ruppelt and Daniela Koehler write, now the next generation of controllers has arrived. 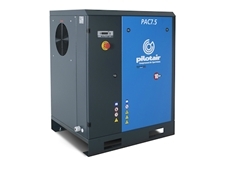 These days, compressed air management systems can recognise when the compressor needs something, if excessive temperatures arise and if human intervention is required. They can even automatically perform or signal the necessary adjustments as required. 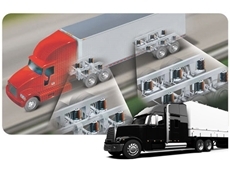 Now the next generation of controllers brings new technical systems to the market that push the boundaries of dependability and cost savings further than ever before. The drive toward efficiency, reliability and - most importantly - sustainable resource usage and energy savings, is increasingly compelling developers and users to optimise existing solutions ever further. Modern installations are comprehensive systems, including compressors, cooling systems, dryers and filters. Even the individual components have auxiliary systems, such as ventilation or cooling water systems. 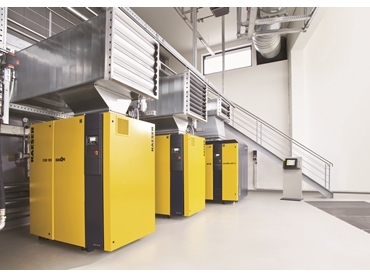 Moreover, modern compressed air stations are often beneficially incorporated into heat recovery processes in order to achieve best possible use of the available energy. The range and number of individual components comprising a complete compressed air system can therefore be considerable. Complex systems such as these require an organising principle of sorts - this is where master control systems come into play. By monitoring the individual components and optimally co-ordinating the interaction between them, these controllers transform the individual 'players' into a truly cohesive team that operates reliably and efficiently. In the past, use of such systems has yielded a certain degree of optimisation. Yet there were still certain aspects that harboured significant potential for improvement. For example, communications between the components and controllers still presented considerable potential for development and refinement. Furthermore, within the wide range of different bus systems available on the market, many are not compatible with one another at all or can only be made compatible with difficulty. This makes it difficult to communicate all the necessary information regarding a system's status. Contemporary Ethernet-based bus systems enable more straightforward integration and communication of large data volumes. Systems equipped with modern internal controllers therefore already rely on Ethernet technology in order to communicate with other networked systems. The latest controllers are true management systems which act like master controllers, yet are capable of much more. They gather information regarding the connected components and measurement points via Ethernet and are able to transfer this data without limitation to a centralised control system for evaluation. The various methods used to gather the information mean that the data can be used in a range of ways with the ultimate aim of compressed air system optimisation in mind. The management systems additionally monitor all other relevant system parameters, such as the temperature and pressures in the compressor and compressed air treatment system, as well as ambient environmental conditions. This means the control system can also check whether compressor cooling functionality is performing as required and whether environmental conditions (temperature, pressure) are consistent with the relevant requirements. Where heat recovery systems are used, all associated parameters are also integrated in the management system. However, progress isn't restricted to system operation alone. Maintenance represents a key area to consider when it comes to maximising cost-effective compressed air production. It goes without saying that poorly maintained systems with contaminated coolers or filters, for example, also operate with impaired specific output values. New management systems therefore also take maintenance parameters into account and include them in overall optimisation strategies. Over the long-term, preventative maintenance not only reduces both energy consumption and costs, but also helps boost value-retention of the system as a whole. Moreover, the complex monitoring enables the creation of predictive maintenance schedules. In addition to control of the compressor package itself, the latest generation of management systems also enables the gathering, forwarding and evaluation of important data to produce documentation in accordance with ISO 50001. The new management systems collect data regarding air consumption and, where applicable, heat recovery. Based on this data, costs are automatically calculated and can be assigned once again to the various individual components within the system. These functions, including visualisation, are accessed via the web using standard browsers without the need for any additional software.